This year I decided to take on the Tour de Picnic – an 80 KM Cycle (4-5 Hours) from Dublin to Stradbally to raise funds for an amazing charity, The Jack & Jill Foundation. As I was planning on going to the picnic this year, and having recently done the Tri Athy Triathlon and also helped with a local children’s charity, Friends of Oisin, I decided why not join all 3 together and raise some much needed money for an excellent charity. 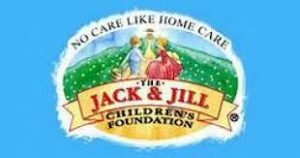 With the Jack & Jill Foundation the money you donate funds intensive home nursing care for children with life limiting conditions from birth to 4 years old, as well as end of life care for children sent home to die. The Jack & Jill Foundation funds the HSE and not the other way around so I feel its such an important charity to help. So thanks to all my friends, family and colleagues I managed to raise €1,290.